In this edition of Glitter Crunch Box you will receive the Mexico themed box! In this box you will receive two hand painted ornaments which includes a Taco Cart and Pinata! The next item you will receive is a pair of Two Left Feet Taco Socks, and 3 servings of Mixallogy Margarita Cocktail Mixers. 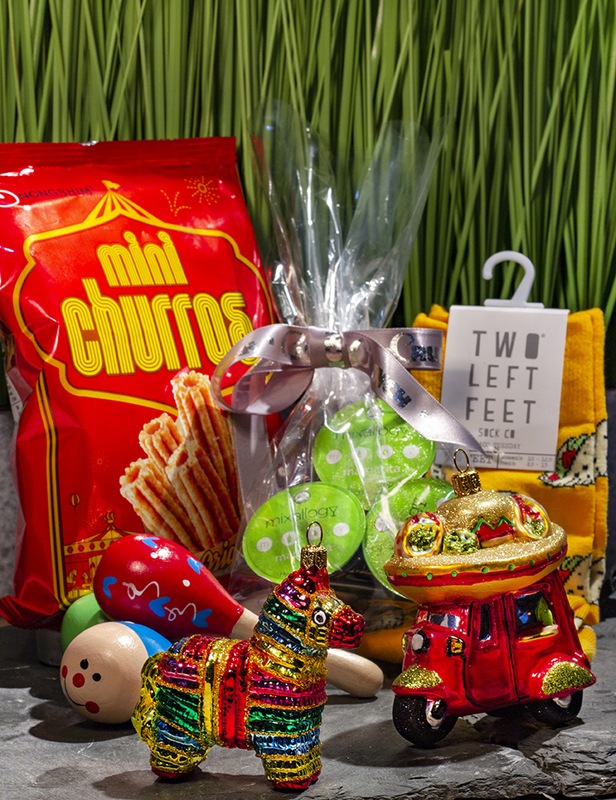 The next Mexico themed item will be three mini maracas and last but not least you will also receive two bags of NongShim Mini Churros which is the perfect snack to pair with all of your other Mexico themed items!